My friend’s son is an incredibly sweet kindergartner–a golden child. He also has potentially life-threatening allergies to peanuts, nuts, and dairy products. Because of the severity of his allergies, the government provides him with a full-time shadow at gan to guarantee he doesn’t come near any of the foods he’s allergic to, and in accordance with the guidelines of the Ministry of Education, peanuts and nuts are not allowed in the entire building where his gan is located, and in his specific classroom dairy products are also prohibited. This boy is a great kid, bright, well-liked, well-behaved. His parents thought getting him into 1st grade wouldn’t be a problem. But it ended up being a problem– a big one. The principal of the 2nd school they applied to told them, “Allergies are not a reason to reject a student. What do they expect from you? To homeschool him? For him never to go to school?! ” But in the end, that school rejected him too. 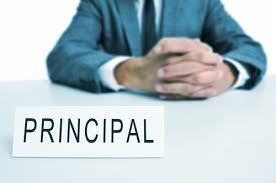 When my friend shared the story of the 3 principals with me this morning, I couldn’t help but think of a similar story, but with the principals replaced by 3 mothers. “Dear child, mothering you and giving you what you need to grow and thrive is sometimes extremely difficult. “But Hashem chose me to be your mother and you to be my child. “I love you and accept you with open arms. I MUST SHARE THIS WITH EVERYONE I KNOW!!! WHAT A BEAUTIFUL WAY TO BRING ACROSS A VITAL LESSON!! I loved this article. Brought tears to my eyes! Thank you! As a mother, I very much appreciated this insightful parallel. It reminded me of a shiur I once attended by a wonderful rebbetzin who was known to also be a wonderful mother – she was a role model of mine. The context I no longer remember, but what I do remember, like a message that was branded into my brain for future application in real time, was: “Don’t think of some negative behavior of your child as being horrible, bad, frustrating, or I-can’t-handle. Think of it as being connected to something your child is going through right now, and your job as a parent is to HELP your child go through this challenge at the moment. Or to go through this challenging phase, which is definitely more than a moment.” This helped me so much to realize that what our children need, even as they sometimes need consequences or discipline, is a sense that their parents support them even when they are not at their best, and want to help them grow. Feedback from my grown children: they did feel this from us! As a teacher, I want to add to your message just a bit from personal experience. If a child has a difficulty which may be interfering with learning, or social adjustment, or physical functioning, etc, in the classroom, it is OUR job to figure out what to do, and THERE IS a solution we must find, not that it will always be easy for us! But, it is not the child who is responsible for the failure of the school or the system. Someone dear to me recently removed her child from a school because the child was mishandled since he was misunderstood. He spent so many months being kicked out of class, ridiculed, and criticized, despite his being bright and academically successful, though his behavior was challenging. The treatment he received is what brought out his worst. If I were in the final meeting with that principal I would have told him: We give our students tests, and expect that they study properly in order to pass them. They should not assume that either a test is easy or they ought to be excused. HakB”H gave you a test. This precious boy was your test, and He expected you to do your studying and pass the test! You thought you already knew the material. Sorry but you did not and you FAILED. So, you failed as educators. To brag that you are great educators because the top 20% of the class succeeds is wrong. They would have done as well anyway. You could have proven your own worth with the success of THIS child, though, and obviously you did not. HE is not to blame. Unbelievable. I was in despair today, really at a low point, exhausted by the trauma of dealing with a young adult child who suffers from severe emotional/mental health problems. Then I open my email and there is your article. Like Hashem speaking directly to me, telling me exactly what I needed to hear! Your story is applicable to so many situations than just parenting young children. Thank you!!! I homeschool our 5 youngest and this is something I need to be reminded of. Attention deficit, hyperactivity and being bright seems to run in our family. I remember being seated out in the hallway or in a corner away from everyone in school as a child. Now, I deal with children exactly like me and I have realized over the years that conventional curriculum doesn’t always work. HaShem made each child unique and different, so schooling should be tailored to meet their needs. don’t apologize for the book, I found it very interesting! I’ve been thinking about the three different perceptions of challenges that you posted, and have found them really helpful. Now when I grumble inwardly at something difficult in my family I use all three statements to help me gain perspective, and of course, the third one helps me move on and cope.